The most innovative, safe and healthy baby feeding product that's ever been tossed into a stroller, heated in a pan or dropped on the nursery floor comes from a Calgary company with a name synonymous with "better for baby". 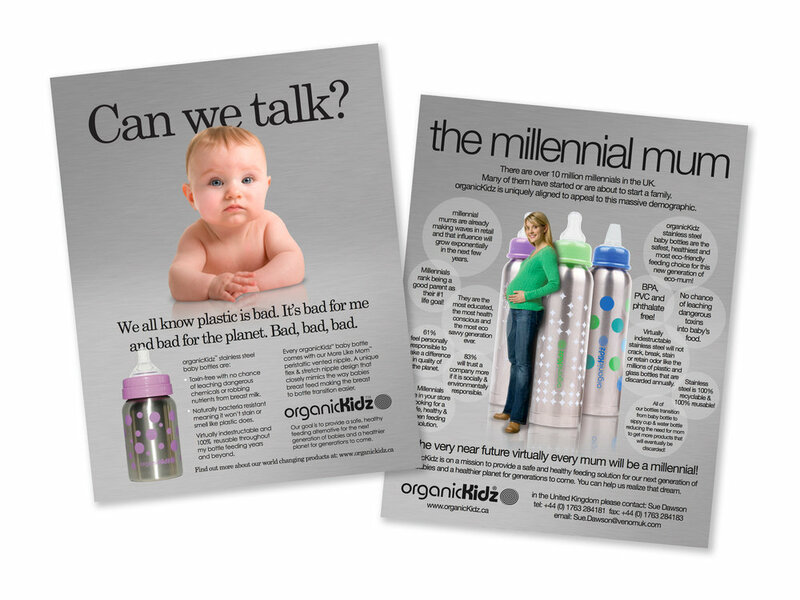 After perfecting the world's first stainless steel baby bottle organicKidz looked to Whoville to build their brand through a plethora of marketing efforts and assets. 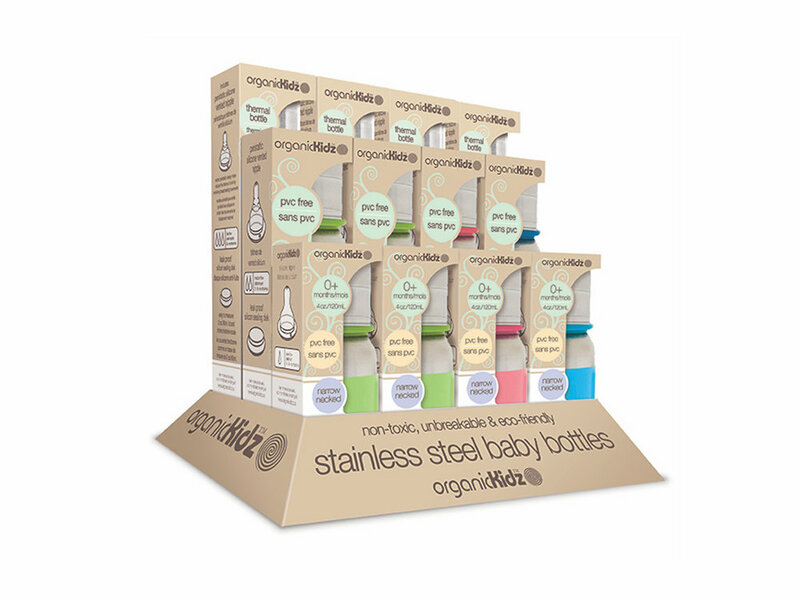 The outcome was a strategic mass versus specialty store channel brand plan that allowed parents to purchase these adorably indestructible bottles at their favourite baby boutiques or in the bigger box mega-stores. 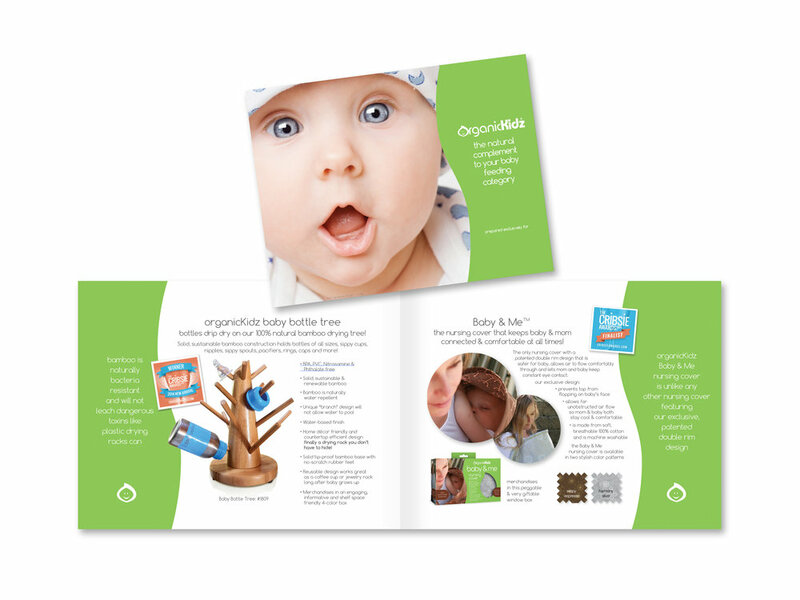 Whoville worked with the organicKidz's product and marketing teams to create everything from loveable bottle designs to an innovative, Red Dot Award winning Bamboo Baby Bottle Tree, to packaging that reflects the brand's organic roots and marketing materials that made retail buyers take notice of this truly disruptive product and moms smile with appreciation for a job well done. Whoville also developed a series of short, thoughtful video-bites that conveyed the "indestructible" message and longer, more informative brand and product introduction video assets. Whoville also launched and managed an incredibly popular social media initiative along with a robust and successful public relations campaign for the award-winning organicKidz brand. Moms and babies around the world are thankful for organicKidz and Whoville for putting these truly special products on the map - you're going to love what we can do for your brand or company too! Below are just a few of the many assets Whoville developed for organicKidz!